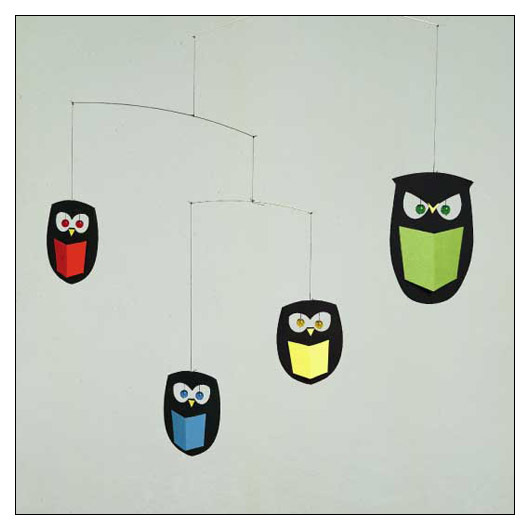 The Wisest Owls Mobile (FMOWLS) at Pure Design / Accessories / Flensted Mobiles ::: Furniture for the Home, Office, Home Office, and More at Pure Design Online! These owls are busily educating themselves and will be a great inspiration to your child as he or she grows. 12" x 4.25" x 1"